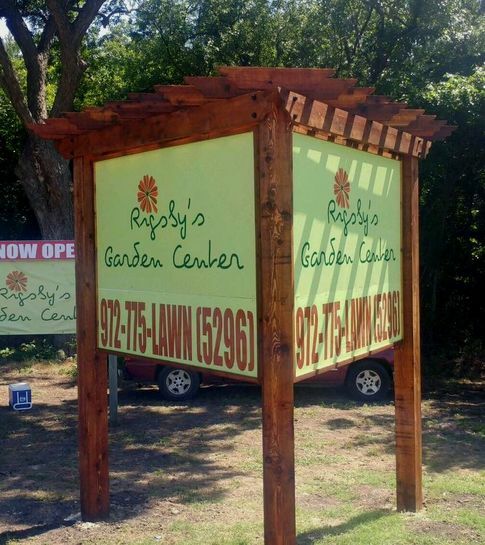 Rigsby's Garden Center is a family owned, full service garden center, nursery and gift shop of home decor, including goods made by local artists. ​We also specialize in landscape design, consultation and installation by Silverado Lawn & Landscaping. Silverado has served Midlothian and Ellis county for 12 years and employees industry certified landscapers, horticulturists and Master Gardeners. We are situated on 17 beautiful, heavily wooded acres, bisected by Waxahachie creek in the city limits of Midlothian. Our property is perfect for any outdoor event...music events, reunions, parties and weddings. We can help you with any outdoor project, such as, patios, pergolas, kitchens, retaining walls and of course, anything "garden" related. We have 75 years of combined experience in the "green industry!"